First, The Armenian Kitchen wishes everyone a truly Happy, Peace-filled 2017! 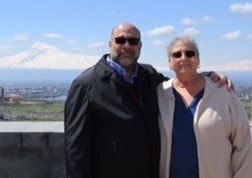 Second, To help ring-in the New Year, my dear friend, Sonia Tashjian, has sent in a very special Armenian treat to help you and your loved-ones celebrate the coming year. 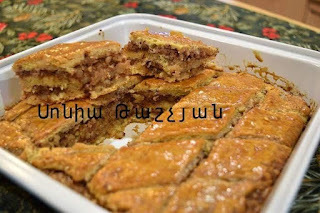 Sonia Tashjian's 'Tsal-Tsul' New Year Dessert! So, I understand this to mean that tsal-tsul is a cross between the gata and pakhlava. 1. To prepare the dough: In a small bowl, mix together the egg yolks and sour cream; set aside. In a large mixing bowl, add 2 cups of flour and the baking powder. Cut-in the butter until it is resembles small peas. Mix in the yolk-sour cream mixture. Add enough flour, a little at a time, to create a workable dough. Knead the dough; divide it into 3 equal parts, let it stand for 15 minutes. Roll each section, one at a time, with a rolling pin into a rectangular shape to fit into a 9”x13” pan. 2. Prepare the filling: whisk together the egg whites and sugar until light and fluffy, then gently add the cinnamon and chopped walnuts. 3. Place the first rectangular layer of dough in the tray; spread half of the filling mixture, then place the second layer of dough & the rest of the filling, then top it with the 3rd layer of dough. Carefully flatten the surface with fingers. 4. Glaze: Whisk the 2 yolks, brush the surface, cut into squares or diamond shapes and bake in a preheated 350 to 375°F oven until golden. 5. After taking the pan out of the oven, pour the honey syrup over the top, let it cool & absorb the liquid. TSAL TSUL is the old Armenian name of pakhlava, nothing related to this recipe, which is a new & easy version of pakhlava; this version is between pakhlava & gata. Happy New Year Robyn and Doug! 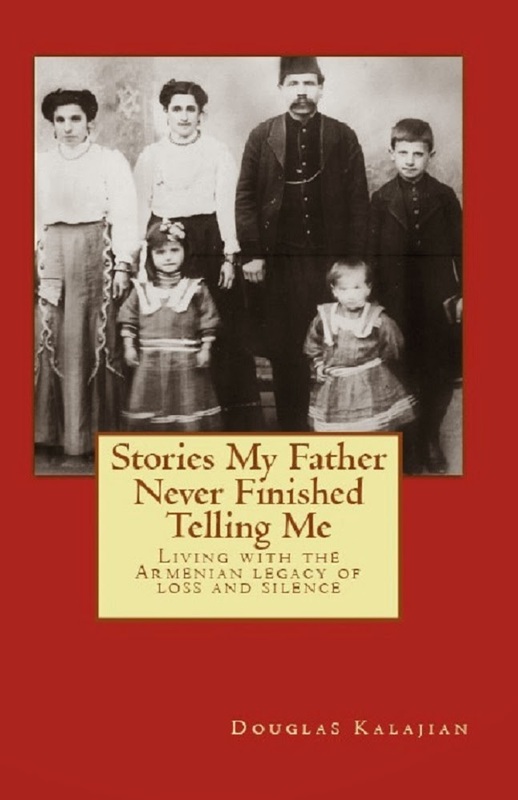 I'm looking forward to reading your review of Tsal-Tsul when you make it! The ingredients for the Filling seem to be a meringue. Might this be the request for a recipe (or at least the filling) posted on your site on May 15, 2010? Hi Anon, I will double-check with Sonia, but I don't think this is an answer to that particular request. I believe the egg whites in this are simply whisked into the sugar - not beaten until stiff as you would to make meringue.